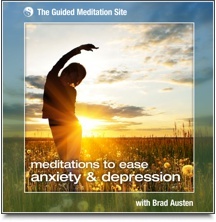 A good quality guided meditation for anxiety can help you to release yourself from a contracted state of fear, and experience clarity and peace of mind at last. Anxiety can be such a life-sapping and persistent condition, but it is something that you can learn to manage and eventually overcome. Meditation is one of the most powerful ways to do this, and we sincerely believe that the following guided meditations will help you to find the feeling of calmness and freedom that you are looking for. 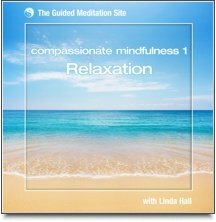 This is a wonderful guided meditation for achieving a state of complete relaxation. It is often used as a stress relief meditation, but it alse extremely effective as a meditation for dissolving anxiety. During this meditation, you will be gently guided through a series of effortless visualizations that lead you to a tropical island where you rest in a pool of pure, still water. This item is also included in our Ultimate Stress Relief value bundle. Meditation can raise your vibration from a state of anxiety and despair to a state of peace and hope. If you’re life is darkened by the experience of anxiety and depression, then we highly recommend this collection of soothing meditations. They will certainly help to bring a sense of lightness and peace back into your life. 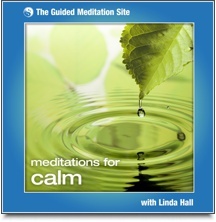 Meditations For Calm is the perfect antidote to stress and anxiety. Three lovely meditations, set to gentle hypnotic music and the sound of ocean waves, help you relax your breathing, slow your mind and restore inner balance. 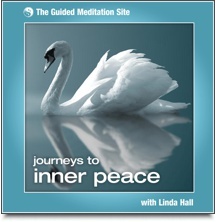 There is peace to be found within you, this guided meditation will help you reach it. 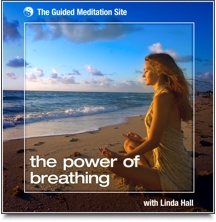 Breathing techniques are a proven way to release tension, manage anxiety and restore depleted energy reserves. Learning how to breathe more efficiently can have a profound effect on your mental, emotional and physical health and well-being. The mindfulness meditation breathing exercises in this collection are combined with positive visualization and affirmations to help you feel better in yourself and deal with life’s challenges. Treat yourself to three restorative and uplifting guided visualisations in which you discover your own special, tranquil garden; meditate with the beauty of the sun and moon; and manifest your wishes, hopes and dreams.